The moment you see a spider, the feelings of fear and disgust surface. Most of the spiders we are acquainted with are quite ugly looking, which do not cast a loving image of the entire specie in general. 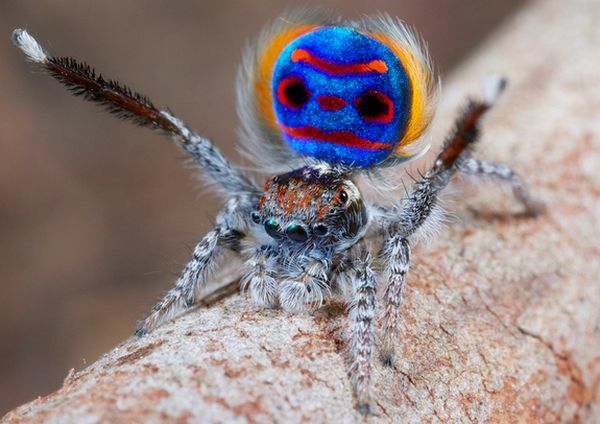 However, most of us will be taken by a surprise by the look of extremely beautiful spiders. Yes, they exist. There a number of spiders are considered amongst most beautiful creations of the God Almighty! 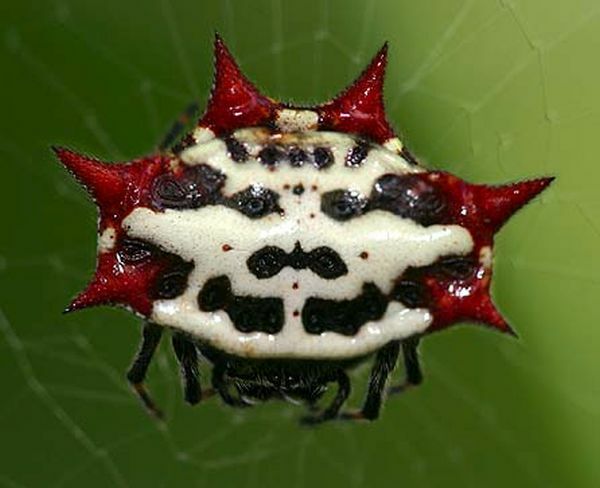 The spiny orb weavers come from the genus of Gasteracantha. These spiders have two horns that are long and curved. These horns work as spinnerets for the spider. These are native to India and are beautiful in their appearance. The ladybird spider is also called Paraplectana. These spiders resemble a ladybird in their appearance. They have red backs with black spots on it, which makes them look like a common ladybird. 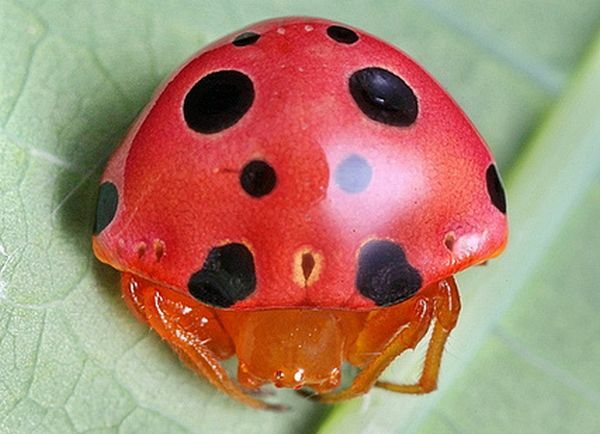 Ladybird spiders are common sites in the tropical regions of Asia and Africa. These beautiful spiders are only found in the areas of Sydney, making it typically Australian spiders. The male specie has a colorful flap, which when rises, attracts the females. These jet-black spiders are also known as Lactrodectus. 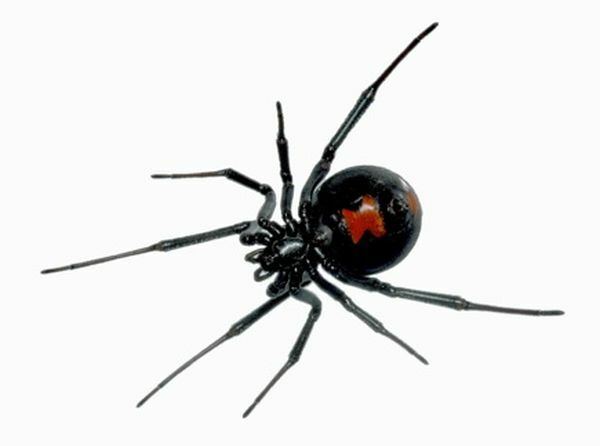 The name black widow signifies their nature of eating the male after mating. Their appearance is charming but their bites can be quite harmful. These spiders are known with a variety of names such as mirror spiders, bling spiders and more. Their abdomens have a jewel tone and are bright and reflective. 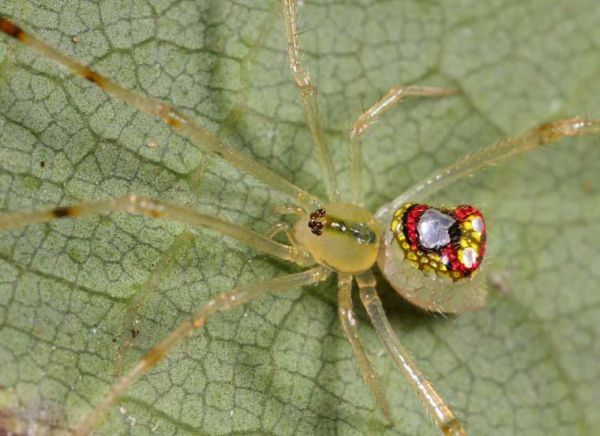 The Sequined spiders are also found in Australia. 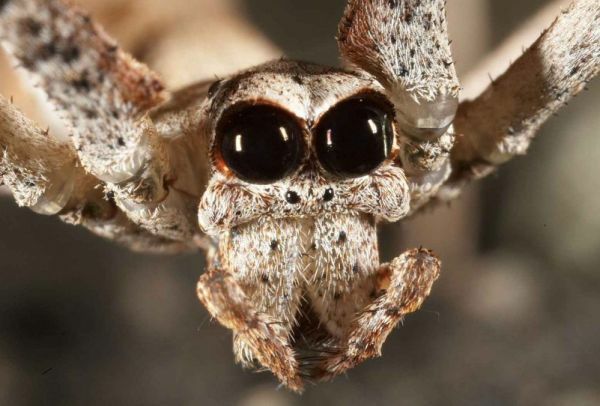 Deinopis subrufa or the ogre-faced spider has the most beautiful eyes, and this is what makes them so charming. The beautiful blue eyes have the potential to cast a spell over you. These spiders throw a web at their prey to catch them. These spiders are found in Australia and Tasmania. 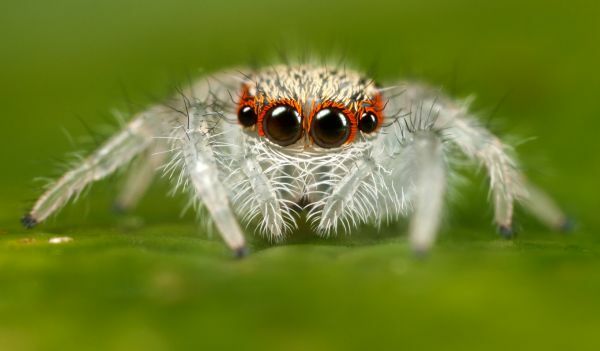 This genus of jumping spiders is known as Phidippus. These are commonly found, in North America. These are generally recognized, with their lovely eyes, which are four in number. This shows that there exist spiders that are also considered, as beautiful beings of the world. Hopefully, spiders will no longer generate that feeling of disgust in you.